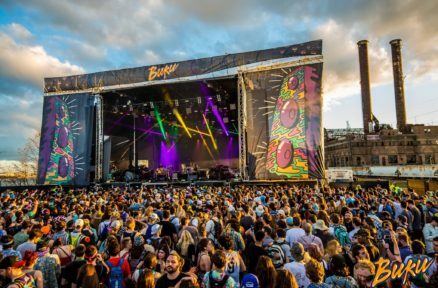 Mad Decent Block Party 2015 – Atlanta, Ga.
On Friday, July 31st, the one and only Mad Decent Block Party began their 2 month tour around nation. There’s no better city that comes to mind to kick the party off just right than the good old ATL. This was the one of a kind block party’s third year in a row here in the city of Atlanta. 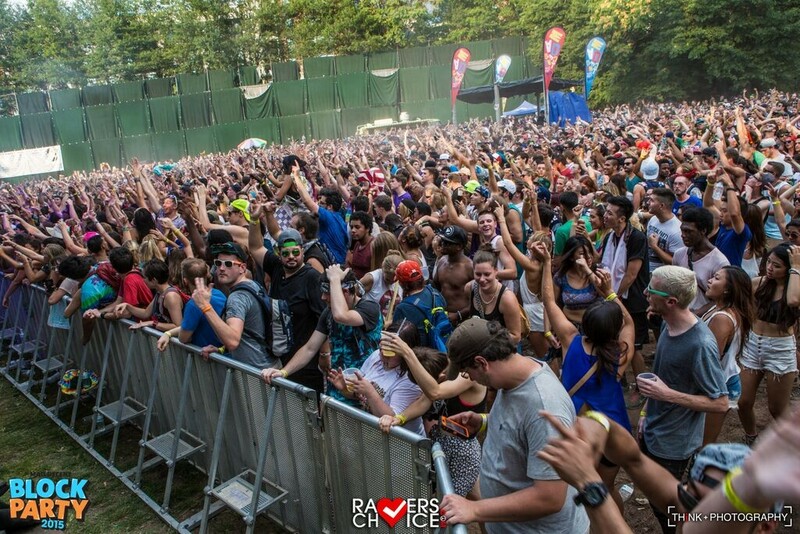 Each year the MDBP has come to Atlanta, the block party brings a jam-packed lineup along with drawing a huge crowd. Mad Decent brought in Keys N Krates, Major Lazer, Meaux Green, Shiba San, TWRK, Yellow Claw, and Zeds Dead for this year’s party. The event was held at one of my absolute favorite music venues in the whole city, The Masquerade Music Park. The location and scenery makes it perfect for any outdoor music event. Plus, the amphitheater’s backdrop being the cities beautiful skyline just enhances the experience even more. Although starting the event at 2 in the afternoon seemed somewhat early, it still didn’t take away from the enjoyment of the music. The Georgia heat during the peak of summer can be a little overwhelming at times if you aren’t careful. The folks working for MDBP did a great jot combating the heat with having plenty of water to keep everyone hydrated as well as utilizing water hoses to cool off everyone among the pit with some refreshing mist. Crowd safety is crucial for events, especially when they are during the day and the temp is about 90° outside. Kudos to the Mad Decent staff for making sure everyone was safe and hydrated throughout the show. A few of my favorite sets from the party were Shiba San, Keys N Krates, and Zeds Dead. Until Mad Decent Block Party, I hadn’t got the chance to see Shiba San live before and I absolutely loved his performance. His selection of house music was on point. Out of the many times that I’ve seen Keys N’ Krates, they have yet to disappoint me. I have always enjoyed catching their sets simply because of their unique style with using drums and keyboard to play their music. 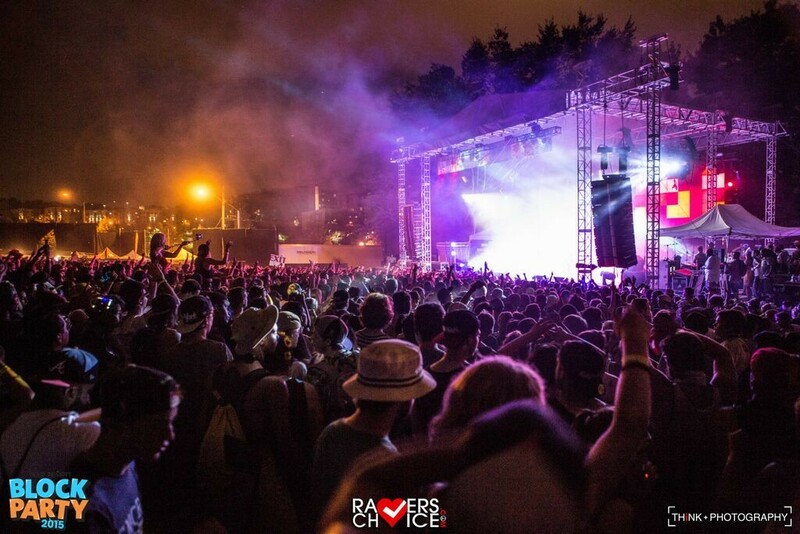 Zeds Dead turned the crowd’s energy way up with their multi-genre set. I’ll try to catch Zeds Dead when I can just because they play all sorts of different genres. One minute they’ll drop some heavy bass dubstep, then somehow mix in some deep house plus some trap and even a little moombah as well. 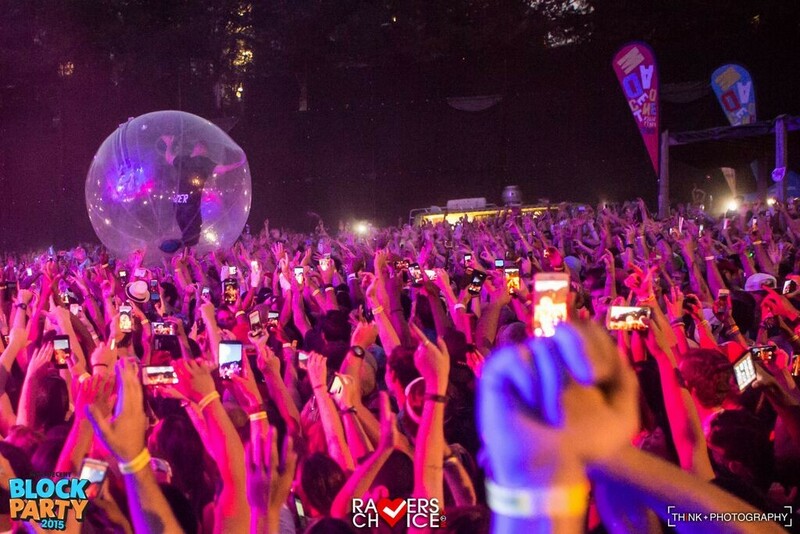 The Mad Decent Block Party tour just finished up in Ft. Lauderdale, Philadelphia, and Brooklyn. After a short break, the tour will continue to 14 other cities across the U.S. 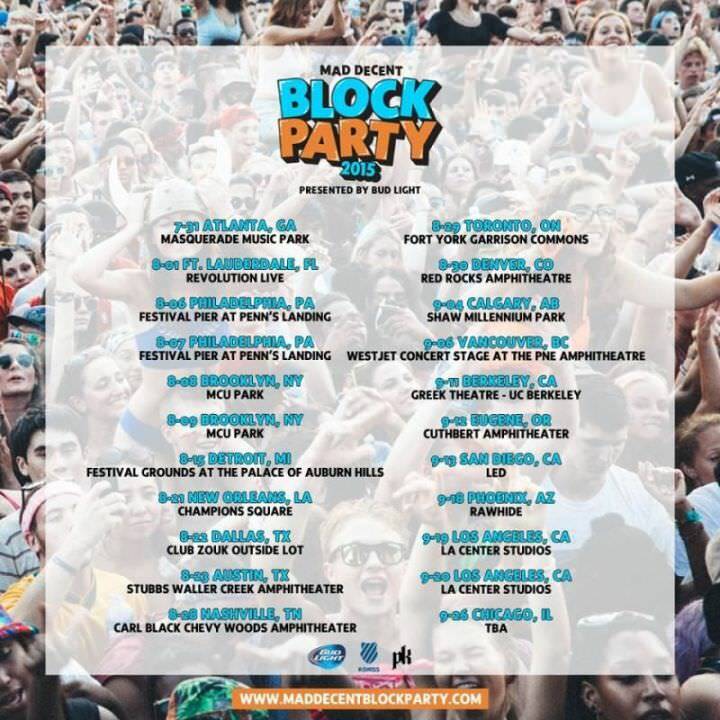 Check out the whole list of upcoming dates below, the Mad Decent Block Party could be coming to a city near you.